The second round of the 2014 MLB Postseason begins with (arguably) four underdogs with a shot at their respective league pennants. Rational Pastime only picked one: Baltimore. We're picking the Orioles again—59 to 41—as my model expects them to cut the Kansas City Royals' Cinderella story short in the American League Championship Series. Baltimore remains the World Series favorite at 2:1 odds. In the National League Championship Series, which starts tomorrow, RP's model has the San Francisco Giants beating the St. Louis Cardinals 54% of the time. Despite being the away team in three of seven, San Fran wins out due to their much higher Power Score. 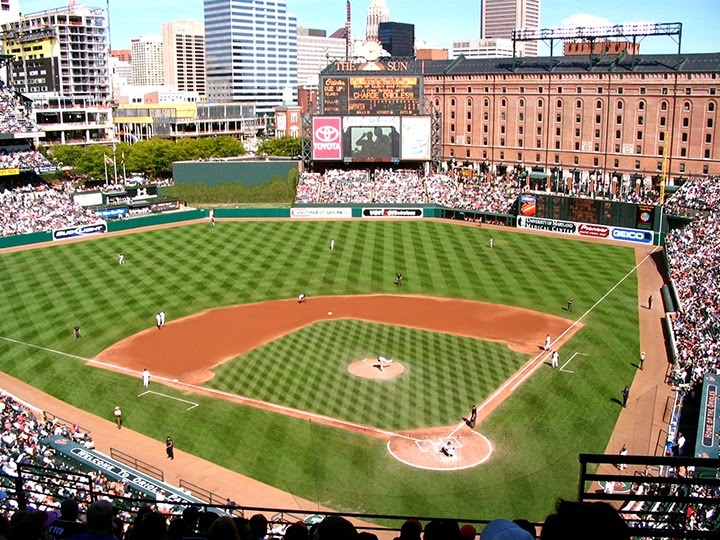 The modal ALCS outcome is an Orioles win at home in six. 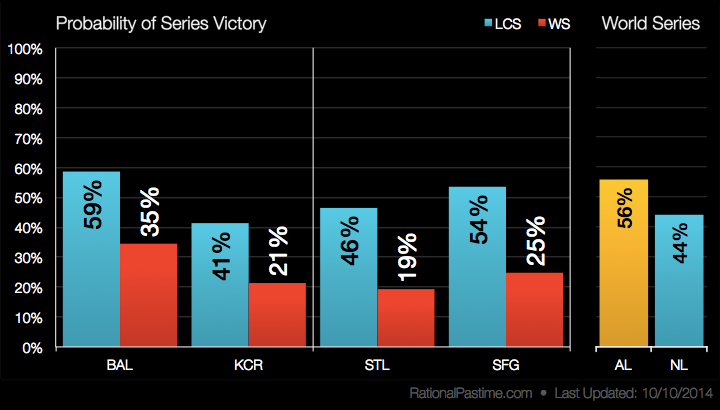 The Royals' best short is to push the series to seven games. 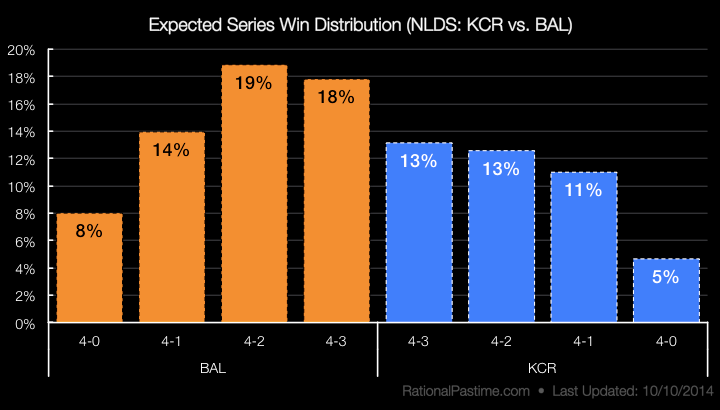 Every Orioles winning outcome save a sweep is more likely than every Royals winning outcome. They are strong favorites for the same reason that the Giants should win despite the Cards' home field advantage: their exceptional Power Score (and Kansas City's not-so-exceptional score). Baltimore's and San Francisco's Power Scores make a Baltimore win over San Francisco in six or seven the most likely World Series outcome. Nevertheless, an all-Missouri Fall Classic remains a distinct possibility, one that the RP model pegs at a 19% probability. More likely, at 27%, is a rematch of the 1966 Orioles-Cardinals World Series. Stop by tomorrow for updated ratings, probabilities and charts previewing the National League Championship Series.